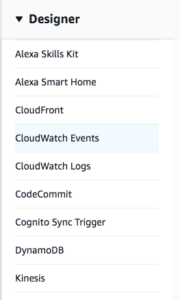 Learn to monitor Lambda functions using a combination of ELK, Lambda, and CloudWatch to monitor your cloud and save you money. 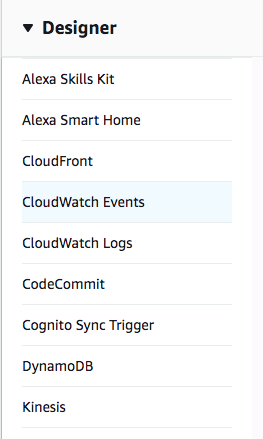 Monitoring our Lambda functions can help in this regard, and in this series we will examine how to implement a monitoring system built on an integration between Lambda, CloudWatch and the Logz.io ELK Stack. 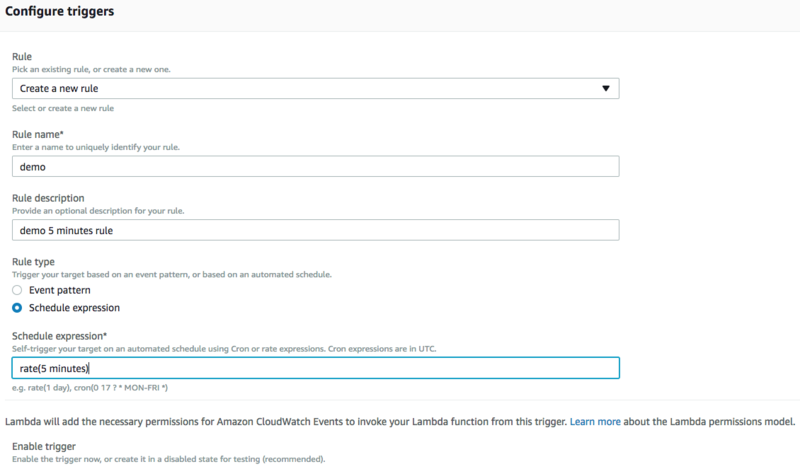 Lambda exposes some useful metrics in CloudWatch that can be used for monitoring, and we will use a dedicated Lambda function to ship these metrics for analysis and visualization in Logz.io. In the Function Code section, select Edit code inline from the Code entry menu, and put the code from our git into the editor. Namespaces are containers for CloudWatch metrics, and part of their job is to isolate metrics from each other so they don’t mistakenly get aggregated into the same group of statistics.The namespace we will use for our blog demonstrating is "AWS/Lambda" Click here if you want to check out the full namespaces list. ExtendedStatistics – The percentile statistics. Specify values between p0.0 and p100. You can have Statistics or ExtendedStatistics in your configuration file, but notboth. We defined in the configuration file, that each time our Lambda executes, it asks for metrics from the last five minutes, with a granularity of 60 seconds. We will therefore configure our trigger accordingly, to execute the Lambda every five minutes. What’s next? How do you leverage the ELK Stack for analyzing and visualizing the data for monitoring Lambda? That’s exactly what we will elaborate upon in the next part of this series. We will provide examples of how to query the data, create visualizations, and more.